Dairy offers a bevy of nutritional benefits that have been well documented throughout the years. 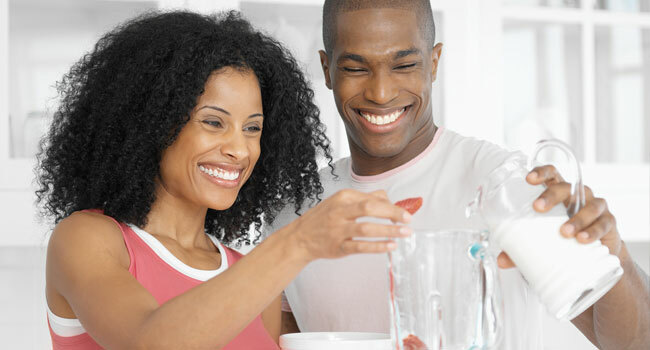 Dairy is a great source calcium, which bodies need to develop and maintain strong bones and teeth. Milk, cheese and yogurt are popular sources of dairy, but kefir is another dairy product you may want to explore. Kefir is a cultured milk beverage that is formed by fermenting milk with a starter culture of key bacteria and yeasts. While North Americans may not be entirely familiar with kefir, it has been popular in Eastern Europe, the Middle East and parts of the Mediterranean for centuries. Kefir is formed by mixing a culture of yeasts and bacteria, called kefir grains, with milk. The kefir grains, which form a substance that looks something like cauliflower, will ferment the milk. As the milk ferments, it froths and thickens. The beverage will take on a sour flavor, and sometimes it can be left to ferment longer and turn into an alcoholic beverage. Often kefir is mixed with other ingredients to make it sweeter and more palatable. Kefir was traditionally made with camel, sheep, goat, or cow milk. Kefir grains would be added to the milk stored inside a skin bag that would be hung by a doorway. The bag would be shaken by anyone coming through the doorway to constantly mix the milk and kefir grains together. It could take up to 18 hours for the kefir beverage to fully mature at room temperature. 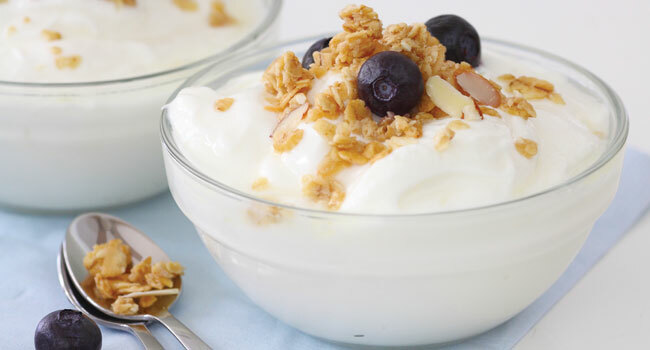 Although both kefir and yogurt are cultured milk products, they do have some differences. Kefir contains several major strains of body-friendly bacteria that are not commonly found in yogurt. These include Lactobacillus Caucasus, Leuconostoc, Acetobacter, and Streptococcus. Some research indicates that kefir can actually colonize the intestinal tract, creating beneficial probiotics that are efficient at resisting intestinal parasites and pathogens, such as E. coli. Kefir also contains highly beneficial yeasts. Some have touted kefir as being one of the most potent probiotic foods available. According to a 2011 article in the Journal of Dairy Science, the healthy bacteria in kefir can improve digestive issues and also may help in treating colitis by regulating the inflammatory response of cells in the intestines. Furthermore, components in kefir may play other roles in allergic response and inflammation as they relate to immune system disorders. Many stores now stock kefir in their dairy departments alongside milk, cheese and yogurt. Those who cannot find kefir can make their own quite easily. Kefir grains can be purchased online and then mixed with dairy products of one's choosing. Kefir also can be made from "alternative" milk sources for those who have lactose intolerance. Soy, almond and coconut milks also can be used to provide many of the probiotic benefits found in dairy kefir. Kefir can be added to smoothies, cereals or consumed as-is. It also can be made into kefir cheese. Many people find it easy to substitute kefir for yogurt, sour cream and even buttermilk in some recipes. A good source of vitamins, minerals, probiotics, and other compounds that can improve intestinal and overall health, kefir may is a dairy product worth considering.